Defending champions Vidarbha are on the brink of victory at the Ranji Trophy final. 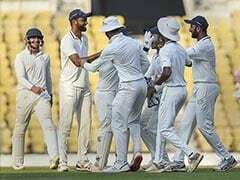 Cheteshwar Pujara's second successive failure has put defending champions Vidarbha on the brink of an encore after a stirring fourth day of the Ranji Trophy final. On Wednesday, left-arm spinner Aditya Sarwate once again turned out to be Pujara's nemesis as he was trapped leg before for nought with Saurashtra tottering at 58 for 5 in their pursuit of 206. Sarwate (3/13 in 10 overs) bamboozled the Saurashtra batsmen after being handed the new ball on a track that offered turn and variable bounce. Saurashtra were best chasers during the knockout stage but their reliable batsmen came a cropper in the most-important clash. Going into the final day, Saurashtra who have ended runners-up twice in the past, need to score 148 more runs on a tricky track with Vishvaraj Jadeja (23) and Kamlesh Makvana (2) set to resume the chase. It will be more about the battle of nerves, considering that lower-order batsmen from both the sides have shown that scoring runs is not impossible, if the application is correct. Mohit Kale contributed 38 off 94 balls and Sarwate, batting at number eight, produced a combative 49 after hosts resumed the day at 55 for two. Sarwate faced 133 balls in his fighting knock and hit five boundaries, negating the good work done by Saurashtra bowlers. Sarwate, who was the last man out in Vidarbha innings, then returned to rattle the Saurashtra top-order with his left-arm spin. In a mesmerising spell, Sarwate dismissed first innings centurion Snell Patel (12), Harvik Desai (8) and Pujara (0) in his first five overs, and conceded just 13 runs in his 10 that he bowled on the day. Pujara played for the turn only to be adjudged leg before as Sarwate bowled an arm ball. 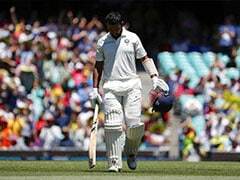 India pacer Umesh Yadav, who was expensive in his first two overs, returned for a second spell to sent back young Arpit Vasavada (5), who fished one outside off to be caught behind. Sheldon Jackson (7) was guilty of playing a reckless shot as he stepped out to hammer Akshay Wakhare, completely missed the ball and was bowled. 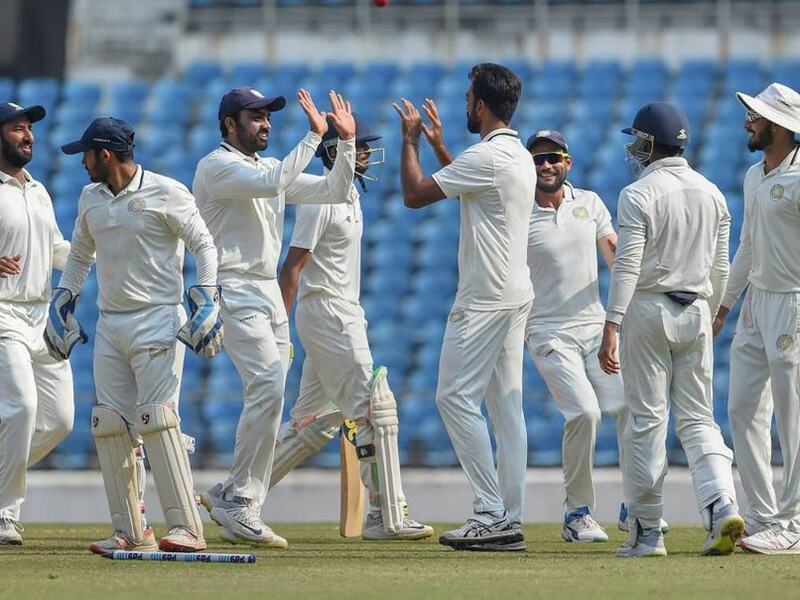 At the start of the day, Jadeja came out with a clear plan of bowling wicket-to-wicket on the slow VCA stadium track to register the most significant figures of his first-class career, helping Saurashtra bundle out the hosts for an even 200. Jadeja scalped four batsmen, including key man Wasim Jaffer (11) and Ganesh Satish (35), in the first session. This was after Saurashtra began with a two-pronged pace attack with captain Jaydev Unadkat and Chetan Sakariya attacking in tandem. But it was Jadeja, who produced a sensational spell in which he dismissed both the overnight batsmen. First, it was Wasim Jaffer, who struggled when a delivery kept low. The resultant faint edge was pouched by substitute wicket-keeper Avi Barot. Barot has been doing the duty behind the stumps since Vidarbha innings in place of Snell Patel, who was hit on the helmet by Umesh. Jadeja then trapped Satish with a full-length ball. The TV replays showed an inside edge carried to the silly-point fielder. Later the officials changed the decision as he was declared caught by Vishvaraj. Vidarbha failed to recover from the twin blows even as Saurashtra skipper Unadkat uprooted stumps of Akshay Wadkar, who went without bothering the scorers. In the first 11 overs of the morning, Vidarbha had lost three wickets and added just 18 runs. Unadkat after bowling eight testing overs took himself off the attack but continued with a pacer from one end, handing the ball to left-arm seamer Chetan Sakariya. It was a flighted ball outside off, Karnewar went for an expansive drive and ended up edging to first slip where Desai took a comfortable catch. The hosts lost remaining four wickets in the post-lunch session with Jadeja taking two more to complete his six-wicket haul.